Summer is coming at an incredible speed. And given the cool beginning, it will be a hot one! Time to plan that trip for the coolest place to be this summer, and it definitely is Europe. From hot parties and beaches in the south to a cool breeze and gourmet food in the north, my favorites for this summer are here! Ibiza is the place to be for many years now, but this island reinvents itself every time. The absolutely hottest party spot in Europe, it hosts hundreds of celebrity DJs every year, in the most impossible settings. Ever been to a giant pool party with world-class show technology and the hottest acts on earth? 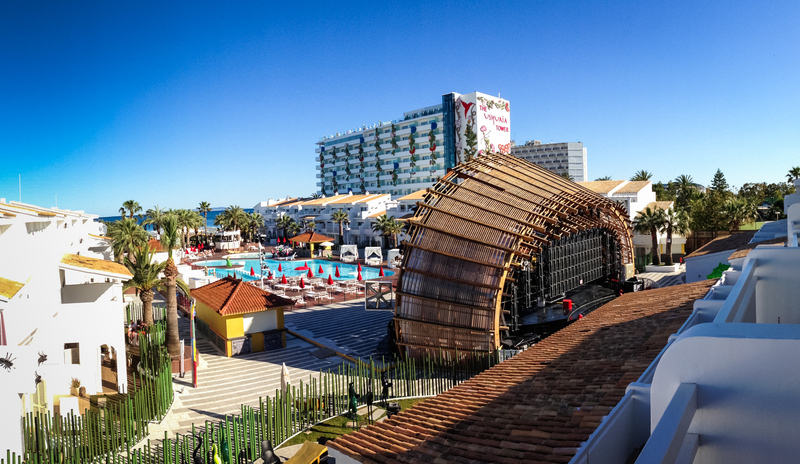 Welcome to Ushuaïa hotel. Book your room here, and you can literally walk to the party from your room. And back, hopefully with good company. This little volcanic island features Greece’s most-photographed scene. Whenever you think Greece, the picture you have in your mind is this place. White-washed houses on volcanic rock high over the aegean sea. This is the material of dreams. Or the perfect proposal. Stay at the small yet luxurious Mystique, a Luxury Collection Hotel. If you can get a room. My second favorite European city, Barcelona really has it all: Beautiful seaside with beaches and lots of nightlife, an ultra-innovative gastronomic scene, and the southern flair of Spain in all its genes. Oh, and don’t forget the shopping. Did I mention the shopping? Barcelona is all about enjoying life. Food here will drive you crazy, so try to eat your way through the city. Start at Mercat de la Boquería, and eat at Bar Pinotxo. Try to get a table at Tickets, the hottest place in town run by the Adrià brothers. Alternatively, have Tapas at Ten’s – also run by a celebrity chef but with fair prices and less crowded. Stay at the iconic W Hotel out by the seashore – fantastic poolside scene & location. 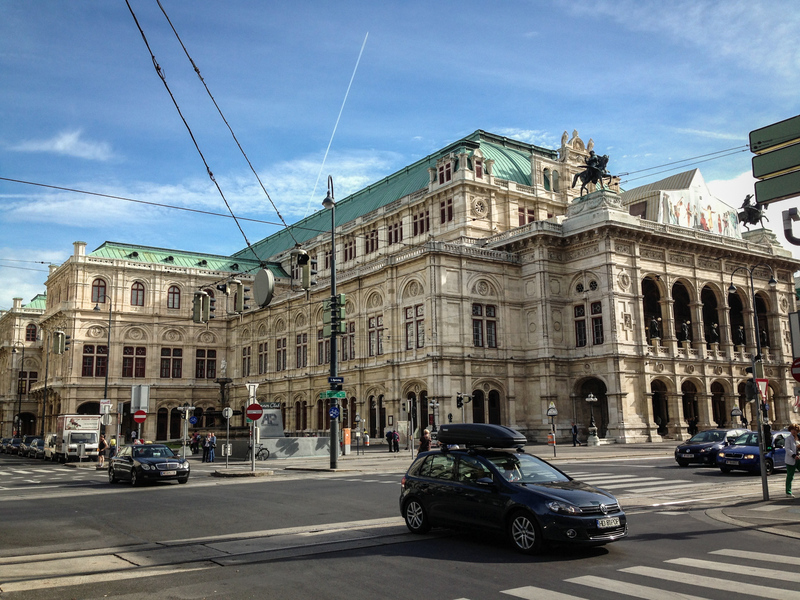 Vienna is my absolute favorite European city, but it’s hard to explain why. Probably because it is so normal, and yet amazingly innovative. Sustainably innovative, perhaps. It is jam-packed with culture, history, architecture and of course great food. And its nightlife is unparalleled. Oh, and did you know that Vienna is the city with the largest vineyards within city limits worldwide? For the true foodie experience, take your time. In no capital city worldwide good food comes at such (relatively) low prices. The #1 restaurant in Austria, Steirereck, is difficult to book but worth a trip on itself. Try also the new Konstantin Filippou, a mediterranean-inspired high-end eatery. The newly opened Le Ciel is said to be delicious yet expensive. For more traditional fare, do as the Viennese do, and go to Heuriger Wieninger. Unforgettable. Given the many places I’ve seen in Europe, I have an absolute lack of knowledge up north. And I don’t really understand why, because Northern Europeans are friendly, courteous, and cook incredibly good food. And the cities are beautiful – such as Copenhagen, which I have set as a target for myself this summer to explore. Benefiting from the long daylight in summer, I am looking forward to long strolls along the canals and a taste of the new nordic cuisine. The rockstar restaurant Noma might be a little hard to get into, but there are dozens of others in the same league, but less crowded. Definitely on my list are Geranium, run by a former World’s Best Chef, and Radio – a simplistic pioneer of New Nordic Cuisine. Sweet! I’ll be visiting two of these places this summer. Great post! I have been to Vienna and hopefully visit other ones soon 🙂 Great destinations!